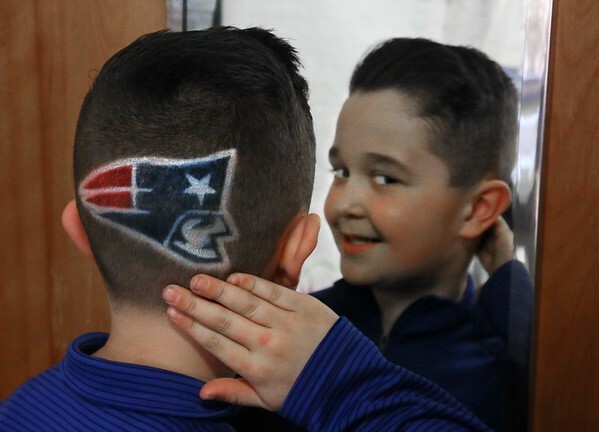 Connor Olviera, a third grader at West Parish Elementary School, shows off his New England Patriots haircut Thursday in Gloucester. Connor had the special haircut and coloring work done at a barbershop in Somerville. He's not sure how long the logo will last before the colors fade. "I want it to last until the Super Bowl," he said. "That would be cool."